Social networking can take up rather large chunks of your time, especially if you are trying to keep up with more than one social site. The key is to achieve 80% of the results with just 20% of the effort. While these social media tips will help you get the most out of your marketing efforts, remember that high-quality traffic really comes down to two tasks. 1. Writing interesting content that encourages the search engines to list your pages. 2. Generating visitor reaction that tells the search engines people like your site. Google, for example, monitors the number of incoming links to your site as well as how many people come to your site and how long they stay. These factors are known as off-page criteria. Success on the Internet is all about creating the types of content that your customers and prospects will want to read. If your site has poor content or is difficult to navigate, you'll have a tough time generating any kind of traffic, whether it be organic search engine traffic or social network traffic. 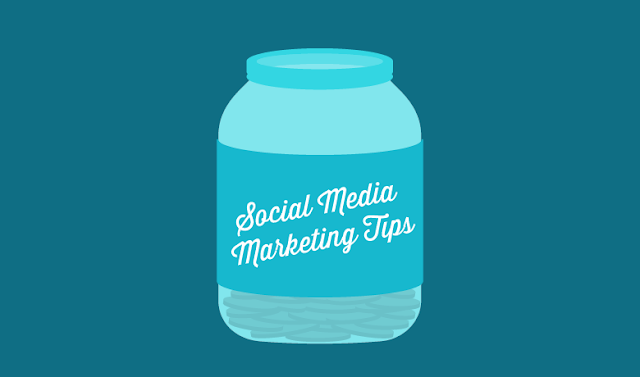 This article will take a look at three important social media tips that will give you the biggest bang for your buck. Of all the social media tips you'll find on the Internet, this one is the easiest and most important. If you've ever bookmarked a web page on your web browser, then you are already familiar with the concept. A social bookmark is similar, but the bookmark itself appears on a publicly accessible social media site. Other people can then see the bookmark and be exposed to your content. Some social sites allow other users to vote on the bookmark, thus pushing it up (or lowering it) in the ranking system. As a bookmark receives more votes, it's prominence on the social site increases and will drive more and more people to your site. The ultimate is to have one of your bookmarked pages appear on the homepage of a social site. If you want someone to bookmark a page on your site, make it easy for them to do so. This means you should provide social bookmark buttons on each content page of your site. Of all the social media tips out there, this one is perhaps the most overlooked. If your content isn't compelling, useful or interesting enough, no one will want to bookmark it in the first place. Social traffic is looking for something fun and new. If you don't have it, you'll find people leaving your site within 10-15 seconds of arriving. A great resource I've found for writing solid web content is Ken Evoy's book The Net Writing Masters Course (just right-click the link and save this free PDF book to your desktop.). Some of the writers does the reviews here about this book. Do not, under any circumstances, add all your web pages as public bookmarks. If you do, your submissions will most likely be considered spam and you'll get banned from the site. I've seen this happen to some high-profile sites that have gotten a bit too aggressive with their social marketing tactics. A less aggressive approach is definitely the way to go. When you add a few pages to each of your public bookmarks, be sure to add relevant Tags to your pages. Tags are simply short phrases that describe your page content. They help identify your page content to other users. Each social site is unique in how you tag and bookmark your pages so take your time and follow the site's procedures carefully. Be sure to search around and bookmark other interesting websites you find. When people see you have other sites bookmarked besides your own, you'll increase the trust factor.